My boyfriend is away on business this weekend, so we celebrated our Valentine's Day earlier throughout the week. Although I wrote in my previous post about not spending much on Valentine's Day, my boyfriend SPOILED me anyway. Am I complaining? Hells no. It was such a surprise, which made it all so much sweeter. I love Valentines's Day, so when my boyfriend asked me what I wanted, I said maybe breakfast in bed, cooking dinner together or a single rose would do. 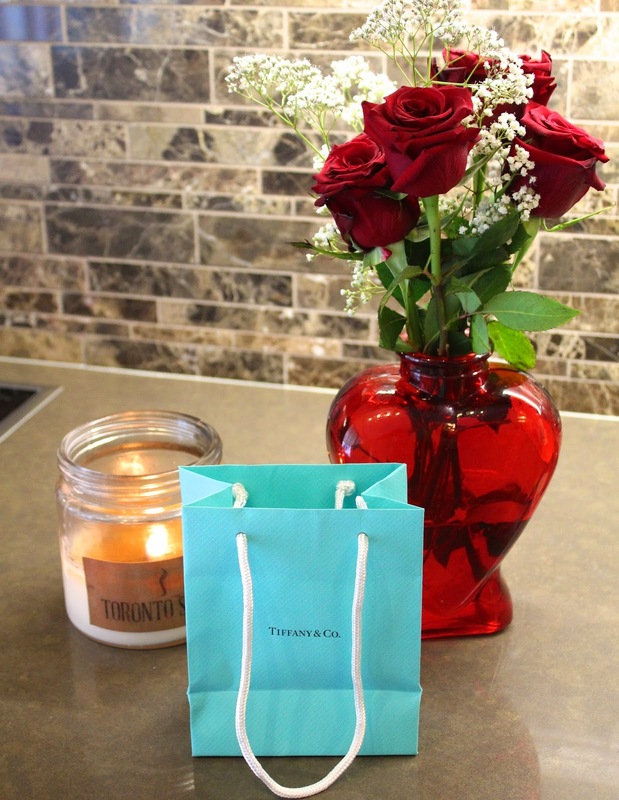 He exceeded my expectations with this little blue box. I died a little when I saw the bracelet. I don't have any pearls in my jewelry collection, so this piece was perfect. This bracelet is classic, dainty, girly and perfect to wear everyday. I just love it, and it goes so nicely with my everyday watch.